I have to say that I love the Dark Iceland series, the only problem is that each instalment is too darn short. I really ought to read slower to make the experience last longer but my eyes seem to have other ideas as they scoot across the page greedily devouring every single line. We are reminded again that nothing ever happens in the sleepy arctic town of Siglufjörðor, until someone is shot. We meet back up with our favourite fictional Icelander, Ari Thór, who has finally talked his girlfriend, Kristín, into moving to Siglufjörðor where they live with their young son, Stefnir. Ari Thór is off work with flu so his new police inspector, Herjólfur, is covering his shift. Herjólfur is called out to an abandoned house frequented by drug dealers where he is shot at point blank range, leaving Ari Thór to wonder whether he was the intended target. With Herjólfur clinging on to life, but unlikely to regain consciousness, Ari Thór's old boss, Tómas, returns to help with the investigation. In between the investigation there are tantalising snippets from a diary that had me completely riveted with questions pouring out of my brain like an avalanche. Whose diary is it? Is it past? Is it present? Can I read any faster to find out? 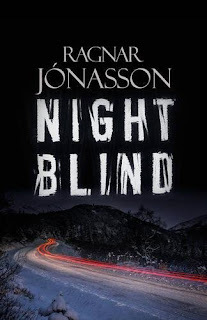 Nightblind is another stupendous instalment from Ragnar Jónasson. As ever, the landscape feels like a main character itself, as the words on the page magically transform into a landscape painting in my head. I have to applaud the translation of Quentin Bates in addition to the talented writing of Ragnar Jónasson; absolutely nothing is lost in translation, but everything is gained as the ingenious words paint such a vivid picture. I was slightly confused as to which order I should read the books as the UK series order differs from the original. When I've read them all, I'll decide if it really matters but at the moment I just want to read them all in whatever order I can. I can only presume that the order will matter in the development of Ari Thór and Kristín's relationship as in Nightblind, Ari Thór seems completely oblivious to Kristín's feelings. I think their relationship is as cold as the temperature outside in Siglufjörðor but time will tell whether they can survive the cold, dark winter. 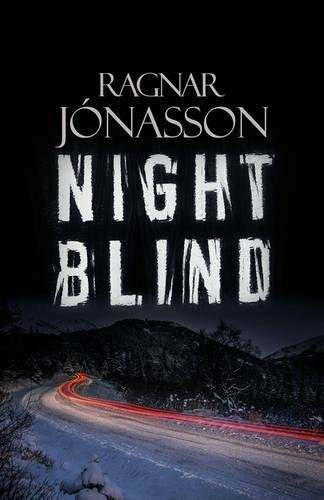 Nightblind is so good I have two copies of it: one a treasured signed first edition, that I handle with kid gloves, and a kindle copy to which I added copious effusive notes. Bring on book 3, Blackout.